Al and I had the biggest fight the other day. Everything’s good now, but wow, we travelled the streetcar through every major problem in our marriage, flinging accusations like Stanley and Stella and generally doing all the things that marriage counselors advise against. Like bringing up past transgressions. And we did it in public! I didn’t even care that people were listening. Three older ladies at the next table in particular had avid ears peeled. Those three ladies were probably very happy to be out and about without husbands and I am okay letting them feel smug at my expense. Truth is, you cannot be married for 29 years and never hop on that streetcar. Well, I cannot, but perhaps you are an enlightened master of love and marriage is not a problem you need to work on. If that’s true, I’m so happy for you. My desire for more autonomy created the chaos. I’d given up all control several years ago so I could write and meditate in peace. In church, my minister said “The way to have a happy marriage is to treat your partner the way you want to be treated.” Sounded like good advice, and because my heart’s desire is that Al say yes to every single thing I wish, I tried to do that for him. Even when the minister ran off with his secretary, leaving his wife to tend his bewildered flock, I persisted in being a perpetual “yes” woman, although I started going to yoga on Sundays instead of church. But saying yes and treating people as you wish to be treated has to work both ways, and it doesn’t always happen like that. There are people quite willing to let you be their dog, if you’re okay with that. 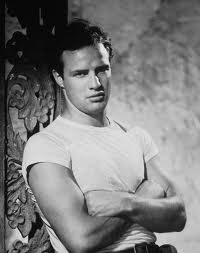 In marriage, a hypothetical marriage, not my own, ahem, maybe one partner, someone like Stanley Kowalski, believes he is the dominant person in the marriage, he will take every “yes” for granted. I say ‘yes’ a lot because it is so much easier than having another argument about whatever. I still believe in treating everyone, not just your mate, the way you would like to be treated. Until they take advantage of that, then it’s time to step off the streetcar. When it has come to a complete stop, of course. Thanks, Aunt Wese. I wondered really if I was being too … something. Pushy? I was doing that too, When I was working full-time I really didn’t care or have time to have a need for independence and disagreement. Once I retired (from the day job anyway) I had more time and guess what happened? Shifting the dynamic is uncomfortable, but in the end, a relief to both parties. Because it is actually liberating to both parties, not just to the one who is now asserting the occasional disagreement or independence. In the end it becomes more inter-dependent, I think. Not that I know anything, but that was my experience. It is very easy to pass off advice as well as judgment, until one finds oneself in the same situation! Better to be humble or you might find yourself in that situation just so you can find out … it can happen to you! It’s not like everyone who falls in love with someone else is a horrible person or an anomaly. It happens all the time. Better to tell the flock, “Staying married for a lifetime is a challenge. When you hit snags, see a trusted, trained, experienced and licensed counseling professional to work out your individual and specific challenges. And do it early before they get huge.” In other words, I don’t think those blanket generalities are sufficient for helping us navigate a lifetime partnership. And they can be very detrimental, if taken to heart, because a person can think they are wrong to want certain things, then bottle it all up so it gets to come out later like Mount Vesuvius. I’ve taken up yoga too. Mostly because I was stiff, but I found that it is very calming to my mind! Nobody can just say “yes” all the time, not if they want to retain a sense of self. Sometimes you just have to claim the right to be you. Our marriage has been wracked by some difficult times, but in the end, we really wanted to be together, and that meant working things out somehow. I am a stubborn, stubborn person, so I am not tempted to say “yes” to avoid conflict, although I understand the people who do it, and maybe they’re wiser than I am–with me, there’s not much choice. Somehow or another, over the years we sanded off each other’s rough edges and almost never have conflicts with each other now. I have lots of regrets about some of my past actions, but when I bring that up, he says, “Don’t bring up that stuff. It’s in the past, it’s behind us.” And I’m grateful for that. But I did have to fight to do what was necessary for my well-being and it wasn’t pleasant. But for me, a matter of survival. We all have a right to be who we are (well, maybe not psychopaths . . .). Sometimes saying “yes” is just kicking the can down the road. Ah Kris, my wise and heartstrong friend. You are so so right and you have been a blessing in my life. Thanks for affirming what I needed to believe right now. And I agree with Jim, the past is the past and best left there. I bought that movie on DVD and it confused the hell out of me. I think, in part, because the movie making norms of the time were foreign to me. (In part too just knowing Streetcar Brando eventually becomes The Island of Dr. Moreau Brando was troubling.) But probably more than that I was struck by how badly people treated each other and how two-dimensional characters seemed. I have essentially zero relationship history so I shan’t wax lyrical.